Wynonna and Booker T. Jones Added to Marty Stuart Late Night Jam Lineup! 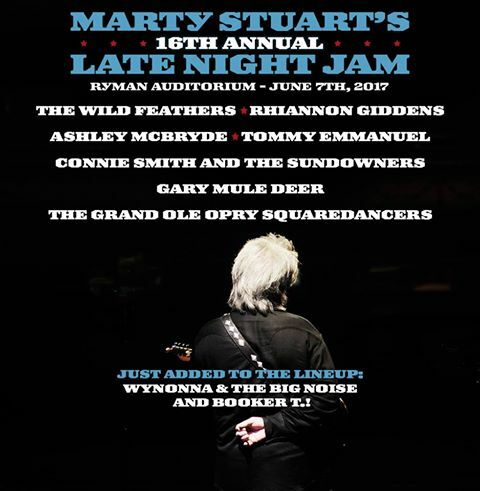 Marty Stuart has announced that Booker T. Jones and Wynonna and the Big Noise have been added to the lineup for the 16th Annual Late Night Jam at the Ryman Auditorium on June 7th in Nashville, TN. They join previously announced performers: The Wild Feathers, Rhiannon Giddens, Ashley McBryde, Tommy Emmanuel, Connie Smith and The Sundowners, The Grand Ole Opry Squaredancers, and Gary Mule Deer. Here's hoping a certain "Chief" drops by for a duet with Rhiannon Giddens! Tickets: $45 & $35 Available Here!